The Pole family descended from Margaret, Countess of Salisbury (the daughter of the duke of Clarence who was allegedly executed in a vat of malmsey and Isobel Neville – elder daughter of the earl of Warwick a.k.a. The Kingmaker). She had four sons; Henry (Lord Montagu), Arthur, Reginald and Geoffrey. There was also a daughter called Ursula. Had Richard III won the Battle of Bosworth and remained childless and Margaret’s brother the young earl of Warwick been deemed unfit to rule then his heirs would have been the Poles. In the summer of 1530 he became caught up in the King’s Great Matter. In addition to using the Leviticus 20:21 and checking with Jewish communities in Europe as to their interpretation of the Old Testament in order to undermine Catherine of Aragon’s countering Deuteronomy argument, Henry also sent messengers to the great university to elicit their opinions on the matter. On May 1 Henry asked the University of Paris for an opinion and made Reginald his “dearest relative” the chief correspondent on the matter. Reginald seems initially to have backed his cousin. His letters record that Paris found in Henry’s favour but that the other faction were looking for a counter-opinion. (Bernard: 214). By the end of the year, however, Reginald appears to have been having second thoughts. It was perhaps his concern over the divorce that led him to turn down Henry’s offer of the archbishopric of York following Wolsey’s demise. Henry must have thought that Reginald would be in favour of the divorce to offer him the post. He needed as many bishops on his side as possible. Henry offered the post to Reginald for a second time and saw him in person to discuss the matter. Apparently the sight of Henry was enough to convince Pole that he couldn’t go agains this own heart on the matter. He even sent a lengthy apology on the subject which no longer exists. In it he warned of the dispute that might arise if Princess Mary was disinherited and reminded Henry of the Wars of the Roses – which was perhaps not an entirely sensible thing to do as it reminded Henry about who had the Plantagenet blood flowing through their veins and who might have been monarchs in other circumstances. In January 1532 Pole went off to Europe to continue with his academic studies and to keep a low profile which he did until 1535 when Henry demanded that he wanted Reginald’s opinion on the subject of Henry’s supremacy, the divorce and the break with Rome. Henry helpfully sent him some books on the subject. By the time Henry had his answer Sir Thomas More and Bishop Fisher were dead as were the Carthusian monks of the Charter House in Sheen who’d taught him as a boy. Reginald described Henry as a ‘wild beast’; being like a dirty barrel and incestuous (perhaps a reaction to the fact that Henry had an affair with Anne Boleyn’s sister Mary). It was perhaps not a response designed to win friends and influence people nor was it a very private response as it was soon published all over Europe; later Reginald would claim that it was without his consent. Henry politely suggested that Reginald return home for a face to face discussion. By now Pope Paul III was in charge and he suggested that perhaps Reginald’s welcome would be rather too warm if he set foot on English shores. It can’t have helped that the Imperial Ambassador, Chapuys, had suggested that perhaps Reginald might be able to marry the Princess Mary and take the crown from Henry in 1534. The small matter of Pole’s religious orders seems not to have worried the ambassador unduly (though Pole didn’t celebrate his first mass until Queen Mary was on the throne). Chapuys had already told the Pole family to keep Reginald in Europe rather than at home where he’d most likely have ended up in the Tower at the very least. On 22nd of December 1536 Reginald was made a cardinal having made a name for himself in Rome where his humanist education leant itself to the reform of the Catholic Church from within. To add insult to Henry VIII’s injury Reginald was made papal legate of England in February 1537. Reginald’s actions reminded Henry that there was such a thing as a ‘white rose faction’. The Pilgrimage of Grace in 1536 was ultimately used to round up Reginald’s mother and brothers following the Exeter Conspiracy. It hadn’t helped Lord Montagu that he’d sent a letter to Reginald berating him for the contents of his book on the subject of Henry’s supremacy and the break from Rome. The poor man must have squirmed horribly when Thomas Cromwell turned up to visit him especially to read chunks of his brother’s rebuttal of Henry’s actions. Even the Countess of Salisbury had written to Reginald demanding that he come home and face the music. Both these letters had been seen by the King’s council before they were sent to Reginald (Seward: 295). By 1539 Geoffrey was in the Tower and he in his turned implicated the rest of his family. He, his brother and his mother would be executed. Reginald, in Europe, found himself facing assassination attempts that would continue throughout Henry’s life was increasingly disturbed by the extent to which the Church in England faced destruction. Ultimately he sought the help of Francis I of France and also Catherine of Aragon’s nephew, Charles V, arguing that Henry was worse than the Turkish threat. Charles chose not to invade England and Reginald’s name found its way onto a bill of attainder in 1539. Henry VIII had come to hate his Plantagenet cousin. For Englishmen who didn’t want to lose their catholicism he became an alternative to the Tudors. It was only when Henry VIII’s daughter Mary took the throne after the brief reigns of her half brother Edward VI and the nine days queen Lady Jane Grey that Pole returned to England after a long career as a papal diplomat. He’d even been suggested as pope. Mary wrote to her cousin asking for spiritual guidance, his attainder was reversed and despite a lack of concord with Mary’s spouse Philip II of Spain he stepped foot on English soil once more at Dover in 1554. The country was Catholic once more. He sought now to heal the breach with Rome – notable amongst the victims of Mary’s determination to wipe Protestantism from English thoughts included the burning of Thomas Cranmer who Pole replaced as Archbishop of Canterbury. Reginald Pole died on the 17th November 1558 on the same day as Queen Mary. Their plan to return England and Wales to Catholicism bound to fail as Protestant Princess Elizabeth was now hailed Queen Elizabeth I. The portrait of Pole pictured at the start of this post may be found at Hardwick Hall, a National Trust property, in Derbyshire. Margaret Beauchamp of Bletsoe, Margaret Beaufort’s (pictured at the start of this paragraph) mother, was married in the first instance to Sir Oliver St John who died in 1437. From this union Margaret Beaufort had seven siblings; two brothers and five sisters. The eldest of the five daughters was called Edith and she married Geoffrey Pole who owned land in Cheshire. Edith, about whom not much appears to be known, died in 1459. She had a daughter called Eleanor Pole who served as one of Katherine of Aragon’s ladies-in-waiting (double click on the link to open a new window with my post about Eleanor). And that might have been that apart from the fact that her son Sir Richard Pole, a loyal supporter of the Tudors married the daughter of the Duke of Clarence, the one who was allegedly drowned in a vat of Malmsey. Just so we’re clear, Sir Richard Pole a Lancastrian of Welsh descent via his father Geoffrey was Henry VII’s cousin because Richard’s mother Edith was Henry VII’s aunt. Margaret Beaufort had fond memories of her all to short childhood growing up with her St John kin. She took an interest in her extended family and it is perhaps not surprising that they lurk in the background of Tudor history. 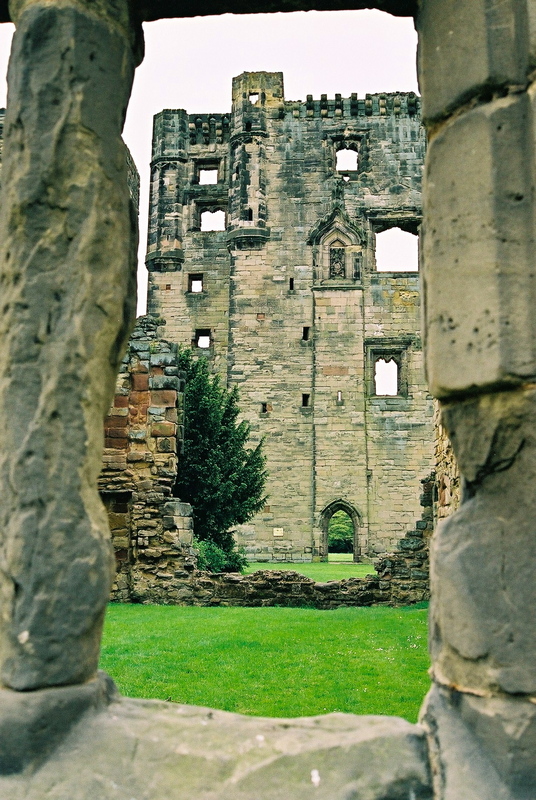 As family Sir Richard Pole was trusted by Henry VII. He was married off to Margaret Plantagent the niece of Edward IV and Richard III and whose brother the you ng Earl of Warwick was kept locked up in the Tower until he was executed –. Henry VII was satisfied with letting the blood of Margaret’s brother and marrying her to a minor member of his own family. Even Shakespeare, the Tudor spin doctor, said of this union; “His daughter (the Duke of Clarence’s) meanly have I match’d in marriage.” They went on to have five children and must have thought that they had weathered the Wars of the Roses storm. It cannot, sadly, be said that Henry VIII trusted the Poles. The Poles were doubly his cousins – through their relationship to Margaret Beaufort and through the fact of their descent from George Duke of Clarence. Despite Sir Richard Pole’s loyal service to two generations of Tudors, his wife and sons were rounded up and executed on account of their Plantagenet blood and their Catholicism– an irony for the Pole children given their Lancastrian heritage and links to Margaret Beaufort. Katherine of Aragon’s household included thirty-three ladies in waiting according to Harris. No doubt as the years passed and Henry’s eyes and hands wandered Katherine wished several of them many miles away from the royal court. However, it is interesting to note that in the early years there was a sense of continuity between the household’s of Elizabeth of York and Katherine of Aragon. One of the women who served both Elizabeth and Katherine was Eleanor Pole. It should also be noted that once Henry began to play his royal game of divorced, beheaded, died, divorced, beheaded, survived many of the ladies-in -waiting found themselves in situ rather longer than the various queens they served. It is also interesting to note the way in which the Tudors sought to employ their family in much the same way as earlier monarchs had done. Eleanor’s mother was Edith St John – making Margaret Beaufort Eleanor’s half aunt; so Henry VII was some sort of cousin. More practically Eleanor’s father had served Henry VI and was in cahoots with Jasper Tudor. Weir notes that Eleanor was one of Elizabeth’s favourite women and that Henry VIII eventually awarded her a pension. Eleanor’s brother Richard Pole served Prince Arthur and went on to marry the daughter of the Duke of Clarence: history knows her as Margaret, Countess of Salisbury meaning that Richard Pole was the father of Cardinal Reginald Pole and Eleanor, at the risk of being obvious, was his aunt demonstrating that everyone was related to everyone else one way or another at the Tudor court. The Poles’ closeness to the crown through the link to Margaret Beaufort explains their position at court…not of course that family ties would stop Henry VIII from executing Eleanor’s sister-in-law who had far too much Plantagenet blood flowing through her veins. Evidence of Eleanor’s time at court can be found in Elizabeth of York’s account book. There are details of her salary and also of occasions when she lent the queen money including three shillings to give as alms to a poor man. Her alarm and the time she spent at court reflects that service to the queen was not only a duty but also a career for many aristocratic women who would be expected for promote their family when the opportunity arose. Eleanor married Ralph Verney of Buckinghamshire. He was Lord Mayor of London and began his rise to prominence with the ascent of the Tudors to the throne. The Verney papers suggest that Ralph, a second son, was one of the esquires at Elizabeth of York’s coronation. By 1502 Ralph had become respected enough to marry Eleanor – who was after all family to the Tudors as well as a lady-in-waiting. Eleanor demonstrates rather effectively that Ralph Verney was on the rise. Eleanor died in 1528 and is buried in King’s Langley Church Hertfordshire with her spouse as shown in the image at the start of this post. Arthur Plantagenet -not quite royal and not a traitor. Who would have thought that Henry VIII had a maternal uncle whom he loved very much. He once said that Arthur had the kindest heart of anyone he knew. Arthur Plantagenet was Elizabeth of York’s illegitimate half-brother. His mother was Elizabeth Lucie or Lucy or possibly Wayte. Thomas More describes her as a naïve girl who believed Edward IV’s blandishments. There were other mistresses and other children. History has not provided a clear list of which children belong to which mother or how long Edward’s various relationships lasted or indeed whether he was pre-contracted to any of them before his marriage to Elizabeth Woodville. In any event, young Arthur was born in Calais and is mentioned in an exchequer account of 1477 – assuming that Edward didn’t have any other natural male sons kicking around Calais at that time, and then vanishes into historical mist and fog for a time or, depending upon which source you read, is brought up in Edward IV’s court. He emerges after the difficulties of 1483-1485 in Elizabeth of York’s household. On her death he moved into Henry VII’s household. He then appears to have been inherited by his half-nephew in 1509. He became an ‘esquire of the king’s bodyguard,’ and was apparently much loved by Henry – a dangerous position to hold as poor Arthur came to recognize. In 1511 he married Elizabeth Dudley the widow of Henry VII’s tax collector. The position of husband having fallen vacant because young Henry VIII had executed his father’s two foremost tax collectors in a move guaranteed to win friends and influence people. Elizabeth also happened to be the daughter of Edward Grey, Viscount Lisle (who just happened to be the younger brother of John Grey of Groby who was married to Elizabeth Woodville prior to his death at the Second Battle of St Albans in 1461- making for a very complicated family tree.) Now would probably also be a good time to mention the fact that Elizabeth Grey is Robert Dudley’s granny – which just makes things even more incestuous when you consider Elizabeth I’s interest in that young man. he turns up in the records on 8 February 1513 having obtained protection from his creditors- he seems to have been frequently troubled by there being too much month for his money- on the proviso of going to sea with an expedition to Brittany. The ship in which he sailed had a nasty accident with a rock and he was saved from death by something close to a miracle. Understandably he took himself off on a holy pilgrimage to Walsingham to give thanks for his safe return from the sea. His experience didn’t stop him from returning to Europe where he joined his nephew on his European military adventure culminating in the Battle of the Spurs which was more of a skirmish than a battle whilst the real action was taking place at home on the English Scottish Border – the Battle of Flodden. By the following year Arthur, who was in Henry’s good books, was Sheriff of Hampshire and a captain on the vice-admiral’s vessel, the Trinity Sovereign. He turns up at the Field of the Cloth of Gold and was one of the king’s carvers. He also seems to have played an important role in the life of young Henry Fitzroy, Henry VIII’s natural son by Bessie Blount. In 1524 he became a Knight of the Garter. As is the way of these things he became a widower and remarried in 1528 to Honor Basset nee Grenville. On March 24 1538 he was made Deputy of Calais and then things started to go very wrong. In addition to personal debt; there were the shifting sands of the king’s religious preferences and the faith of the locals; keeping Calais’s garrison fed and watered; keeping the local elite happy- and they frequently weren’t very happy and spent a lot of time trying to stab him in the back; keeping Cromwell informed as well as providing him with a new pet dog (no I’m not making that up – it’s all there in Arthur’s letters) and then there was keeping his wife happy and ensuring his children received an appropriate education. Ultimately things did not go well – there were simply too many plates to keep spinning. Arthur was summoned back to London in 1540 and sent to the Tower whilst his wife and daughters were kept under house arrest in Calais. Rumour had it that it was Honor who was the traitor rather than her unfortunate spouse – whatever the case it seems to be agreed by Bishop Foxe (who didn’t like her- suspecting that she was a closet Catholic) and another chronicler that she lost her senses and never fully recovered them as a consequence of Arthur’s arrest and imprisonment. Unfortunately for Arthur there was a plot. His chaplain, Gregory Botolph had come up with the idea of handing Calais over to the Pope in the person of Cardinal Pole, who was of course, a Plantagenet and Arthur’s cousin. Margaret Pole, Countess of Salisbury styled Arthur ‘cousin’ in her correspondence a fact which Henry VIII must have been aware. By now the Tudor monarch was ageing and vicious. Being a Plantagenet had become exceedingly dangerous to one’s health as Margaret Pole was to discover. Botolph managed to evade capture even though an act of attainder was passed against him. He evaded the king’s wrath, unlike his fellow conspirators – Edmund Brindholme, Clement Philpot and Adam Damplip- who presumably paid the full price for their treason – though I need to find confirmation of that. There was no direct evidence against Arthur. So naturally he was released? Er, actually – no, he wasn’t. Arthur remained a prisoner in the Tower until 1542. It seems unfair that Arthur should have been rounded up as a consequence of Botolph’s misdemeanours as Arthur had spent considerable time and effort trying to get his chaplain a living, first in Lowestoft and then in Kettlebarston in Suffolk as demonstrated in his various letters. It seems even more unfair that Arthur who had served the Tudors most loyally should have been so poorly treated. At the beginning of Henry VIII’s reign a family member could be looked upon with warmth, especially one who could never make a claim on the throne because of his illegitimacy but by 1540 Henry VIII had contemplated forwarding the claims of his own illegitimate son so the bar-sinister wasn’t the protection it had once been. Arthur languished in the Tower – Cromwell fell, Katherine Howard was married and discarded, her various lovers executed along with the erstwhile queen. In March 1541 Honor Plantagenet, Lady Lisle and her daughters were released. Their jewels were returned to them and £900 made available to cover their debts and transport them wherever they wanted. Honor ultimately returned to her home county of Cornwall where she died in 1566. Papers were seized in Lisle’s house at the time of his arrest – 3,000 of them. They were mainly letters to him and his wife, ranging in date between 1533 and 1540, from ambassadors, princes, governors of French and Flemish frontier towns: he knew them through his role of courtier, politician and Deputy of Calais. There were letters to and from friends and agents in England; including one which suggests that sending Anne Boleyn a pet monkey wasn’t one of Arthur’s better ideas. There was also letters between him and his wife during visits of one or the other to England. Thomas Cromwell complained about Arthur’s letter writing. He said that Arthur wrote trivia that was of no political interest what-so-ever and to please get a grip on his meanderings. Of course, so far as historians are concerned they couldn’t disagree more. The Lisle Letters are one of the most important collection of Tudor documents that we have available to us. They can be purchased in six volumes or one abridged selection. ‘Henry VIII: March 1542, 1-10’, in Letters and Papers, Foreign and Domestic, Henry VIII, Volume 17, 1542, ed. James Gairdner and R H Brodie (London, 1900), pp. 62-71 http://www.british-history.ac.uk/letters-papers-hen8/vol17/pp62-71 [accessed 18 January 2016]. Notes and Queries (1926) CLI (aug21): 129-130. doi: 10.1093/nq/CLI.aug21.129. Henry Hastings, born in 1535, was the great grandson of Margaret, Countess of Salisbury – the redoubtable lady who defied the executioner in the Tower of London , and as the very entertaining Yeoman of the Guard explained during my visit, “had it away on her toes.” She was in her 80s at the time and about to be the victim of judicial murder. He was descended from the Pole family so was a Plantagenet, Margaret was the niece of King Edward IV. It was a bloodline that did rather mean that his family was prone to sudden death by beheading. Both his maternal grandparents had suffered a similar fate and his two times great grandfather the Duke of Clarence was the chap who suffered an unfortunate end in a vat of malmsey. Henry loyal to the Tudors and his country was a protestant with puritan tendencies having spent much of his childhood as companion to King Edward VI. He was even married to the Duke of Northumberland’s daughter Catherine Dudley (making him a brother-in-law to Robert Dudley, Earl of Leicester). Upon his father’s death he became the Third Earl of Huntingdon. When Elizabeth was seriously ill in 1562 his name was given as a potential replacement. It would have meant ignoring the rights of Lady Catherine Grey but his bloodline, his faith and, of course, his gender made his claim a powerful one. His protestant sympathies were so strong that he asked Queen Elizabeth if he could go to France to support the Huguenots. There was talk of him selling his estates to raise an army. It is perhaps not surprising then, that as a possible heir to the English throne and a man of Protestant principle he was not one of Mary Queen of Scots admirers; he’d been invited to hear the evidence against Mary as presented by Moray in the form of the Casket Letters. He was firmly against a marriage between Mary and the Duke of Norfolk in 1569, not least because it would have weakened his own position. At this time the Earl of Shrewsbury, Mary Queen of Scots jailor, was ill and had been with the queen to take the waters in Buxton. He had gone without Elizabeth’s permission. Now, ordered back to Tutbury Mary was about to make the acquaintance of Huntingdon. He was sent ostensibly to assist Shrewsbury to guard the queen against the northern earls who were planning to raise an army, march south and free the queen. He arrived on the 19th of September. Mary feared for her life and said as much in a letter to the French ambassador. Shrewsbury must have agreed with Mary because he wrote back saying that his health was sufficient to guard his charge and that he had no desire to be replaced. In the event Mary was conveyed to Coventry and out of reach of the Northern Earls via Ashby de La Zouche castle which belonged to Huntingdon. The shared responsibility for the queen was not a happy alliance as letters in the National Archives demonstrate. Huntingdon soon departed from his temporary role as joint custodian of the queen. He soon found another occupation. The threat of the Northern Earls loomed ever larger in 1569 so it was decided that Huntingdon should be made lord-lieutenant of Leicestershire and Rutlandshire. He was also created Lord Presedent of the North in 1672. The following year he was one of the Duke of Norfolk’s judges when he was tried for the crime of treason. His offices in the North grew and as a consequence it was he who represented Queen Elizabeth in a conference with the Scottish regent Moray following the Raid of Reidswire; he looked into the religious beliefs of the gentry of the north – no doubt in search of Catholic plotters- and was part of the force that gathered to repel the expected Spanish invasion. In his spare time he wrote a family history, a poignant task given his lack of children. He also invested in the early chemical industry buying land in Dorset with an alum and coppera mine, the manor of Puddletown and part of the manor of Canford, which had previously belonged to Lord Mountjoy. The two men became involved in a legal wrangle about who had the right to extract the minerals. Mountjoy claimed that he had stipulated that he should retain the rights to extract the minerals. The conflict was eventually resolved after many years. The mines did indeed belong to Huntingdon but he had to pay Mountjoy’s son (the old lord had died by that time) £6000 in compensation. 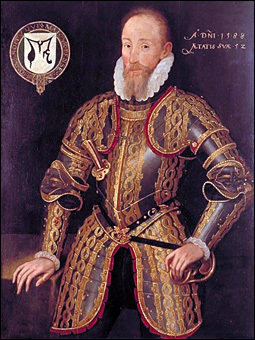 Henry Hastings died in December 1595 and was buried in Ashby-de-la-Zouche. His brother George became the Fourth Earl.